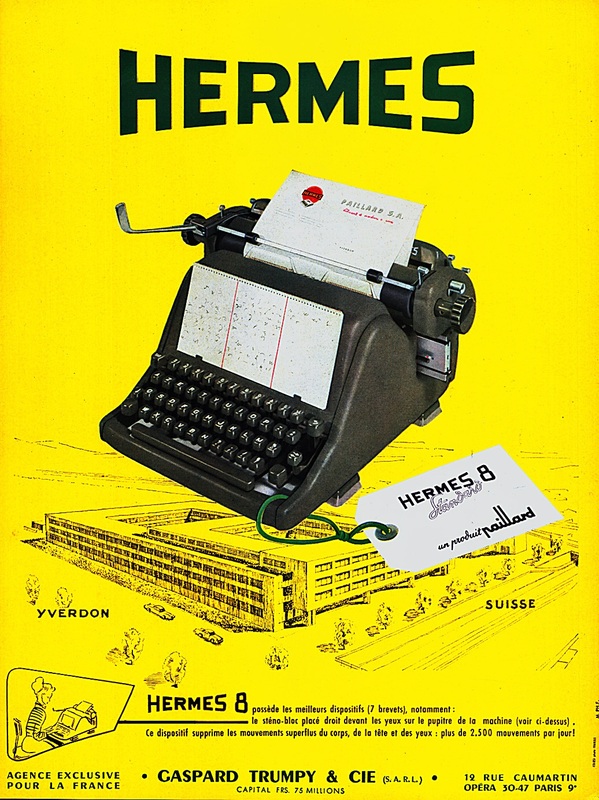 Georg’s welcome input to the “Typewriters at the Olympic Games” history - about the newly-launched Hermes Baby standing out at the 1936 Berlin Olympics - reminded me that it was 78 years ago this week that the Baby-Featherweight was first patented. 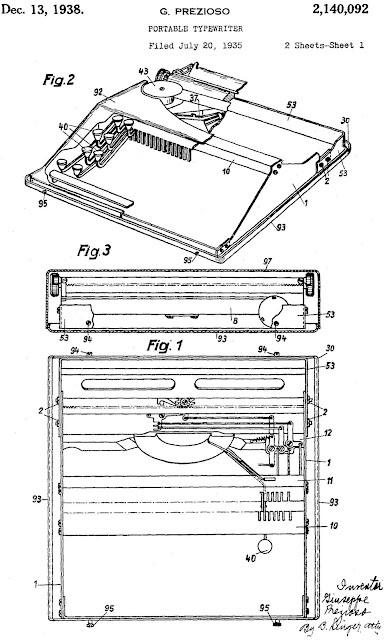 It was on July 30, 1934, that Giuseppe Prezioso’s design was patented in Germany. 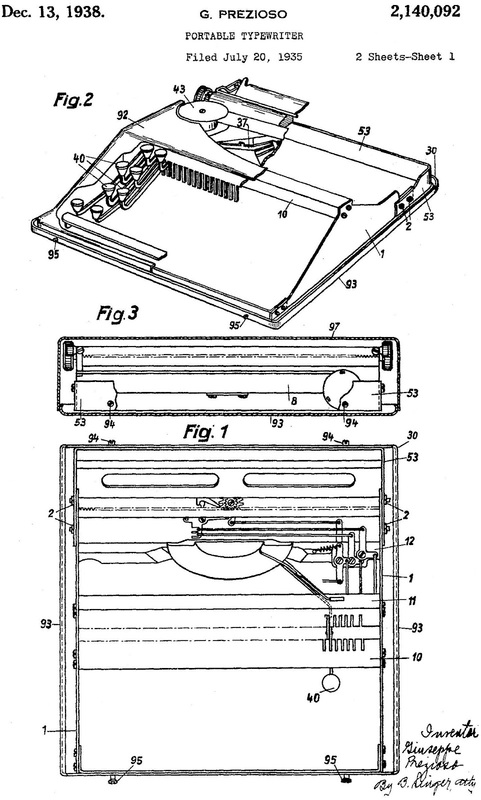 Prezioso applied for a US patent almost a year later and it was issued toward the end of 1938. In the 1940s, Prezioso also designed the Hermes 8, as he did the later Ambassador. This Hermes 8 fetched $4123 at a Christie’s auction in London on November 30, 2005. 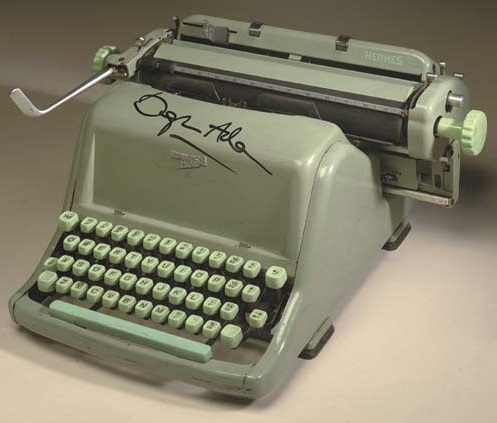 The typewriter belonged to – and was signed by - British writer Douglas Adams (1952-2001). Adams is said to have used it when he was working on the original radio script for The Hitch-Hiker’s Guide to the Galaxy. In 1998 Adams signed and donated the typewriter to an auction organised to raise funds for the Hebridean Whale and Dolphin Trust. It bore an anti-apartheid sticker on one side of the casing. In mid-May this year, Adwoa Bagalini came across a Hermes 8 on her “Geneva Typewriter Sightings: Exploring New Hunting Grounds”. She posted on it on her Retro Tech Geneva blog here. How interesting. This week? You're a font of information. Have you used a featherweight yourself? I'm looking forward to use a Hermes typewriter one of these days, though this brand is not very common in my country. But who knows? The Internet can be a great source of discovery. Which one would you recommend most? A Baby, or a 3000? A Douglas Adams typewriter? Man, I would love to have had that. I know he used Mac's a bunch in his writing, having read some biographical information about him, but that was written about his later Hitchhiker novels. I suppose it is safe to assume he used this Hermes to write, at least, the first installment. So awesome! 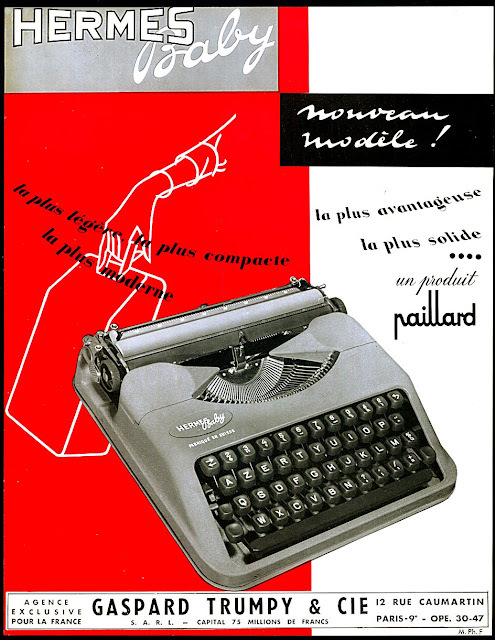 Every time I come to this fine blog another typewriter is added to the list of typewriters to look out for, this time it is exactly the same; this wish-list is getting dangerously long, its size relative to the time spent on this site.